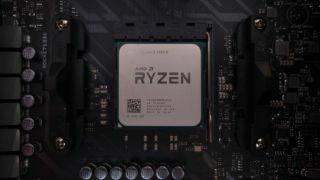 AMD has pushed out firmware patches to protect its processors against variant 2 of the Spectre vulnerability, in conjunction with updates for Windows 10 which are also designed to squash this particularly nasty bug. As we’ve been told before, Spectre (and indeed Meltdown – although that only affects Intel chips) is a complex vulnerability which requires patches to firmware on the hardware front, and also for operating systems on the software side of the equation. So, AMD has released microcode updates for its processors which, when combined with the aforementioned Windows updates, will defend users from Spectre variant 2. For the latest on how to protect yourself from Spectre and Meltdown, read our comprehensive guide. AMD didn’t specify the exact CPU models which were covered by the fixes, but said that microcode updates were being released for all processors dating back to the first ‘Bulldozer’ products which went on sale in 2011. Of course, the patches have been released to manufacturers, who will then have to put together BIOS updates which AMD chip owners can subsequently download. In other words, you’ll have to wait for the manufacturer to implement the fix before you can benefit from it, as is the case with Intel’s patches. So what about the Windows updates? Microsoft has released a Spectre variant 2 fix for those running Windows 10 (Fall Creators Update) with AMD chips, and you should be able to grab that now via Windows Update. These patches are obviously welcome moves, although AMD still asserts that this more troublesome variant of Spectre is “difficult to exploit” on its processors. The firm’s future CPUs will be engineered from the ground-up to be bulletproof to these vulnerabilities, starting with Zen 2 chips which are expected to land next year (interestingly, we heard yesterday that AMD is already working on Zen 5, believe it or not). How does AMD rank when it comes to the best processors of 2018?